Since 2008 Raya Brass Band has thrilled audiences with its energetic brand of soul shaking, border defying dance music. Given the way these five musicians electrify clubs, festivals, underground parties, and even subway cars with their riotous performances, it’s no wonder that they’re often mistaken for a band twice the size. 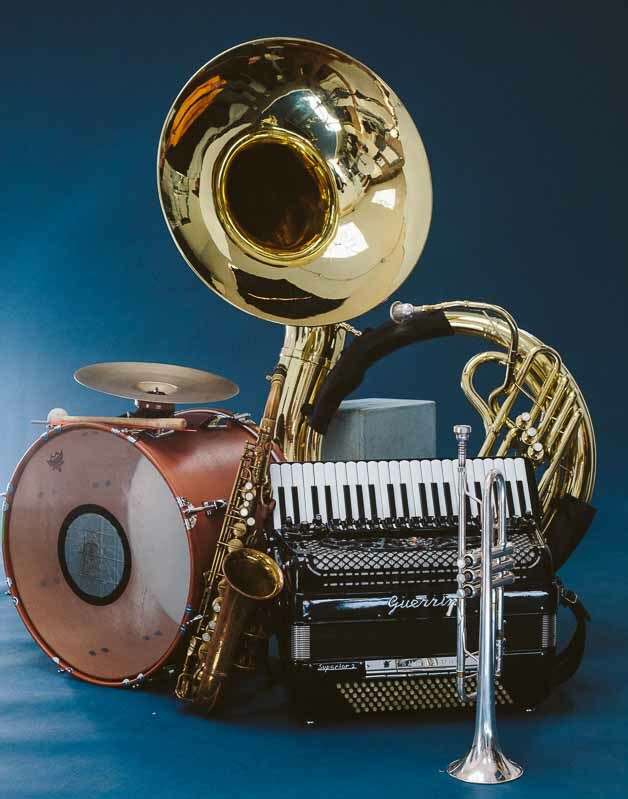 The members of the band all bring their unique voices to the group, creating a sound informed as much by their love for the fierce and seductive music of the Balkans as it is by New Orleans brass bands, punk rock, out jazz, and a host of other international sounds. When they put it all together, this hard working band gets straight to the point, dancing, sweating, and shouting alongside its audience. Raya Brass Band at Golden Fest 2015 – "Cucek na Sudahan"
Golden Festival is one of our favorite shows every year. With over 60 bands and thousands of attendees, the energy is contagious all night. Bringing the party to Gowanus, Brooklyn. 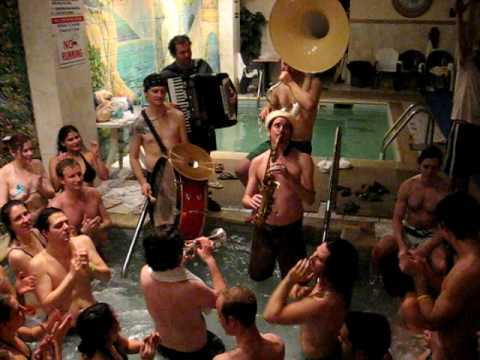 Raya Brass Band plays *in* the jacuzzi at Gemini and Scorpio’s Steamy Valentine’s Night at Russian Banya, 602 Coney Island Ave, Kensington, BK, 2/13/10. 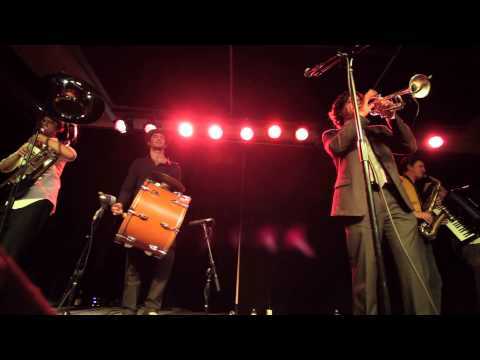 DJAM NYC - Raya Brass Band, Kaeshi Chai and more!